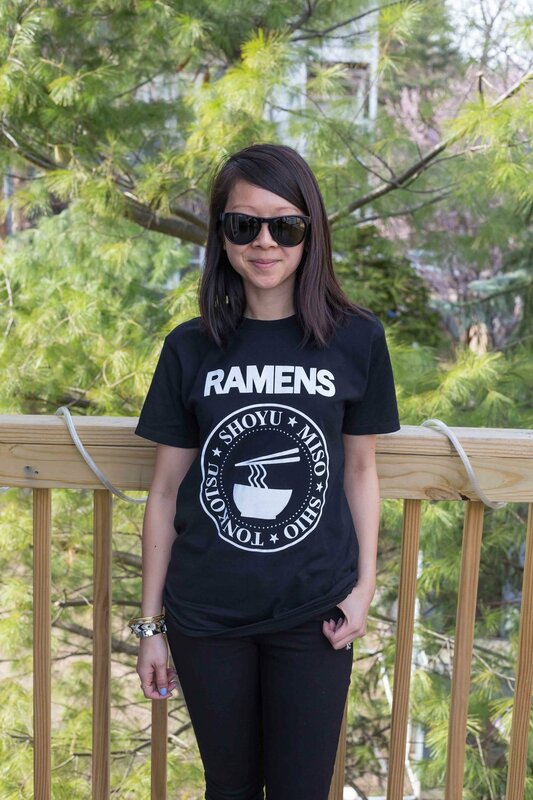 Paying homage to my fave meal of all time: Ramen. I could eat it all day, everyday. 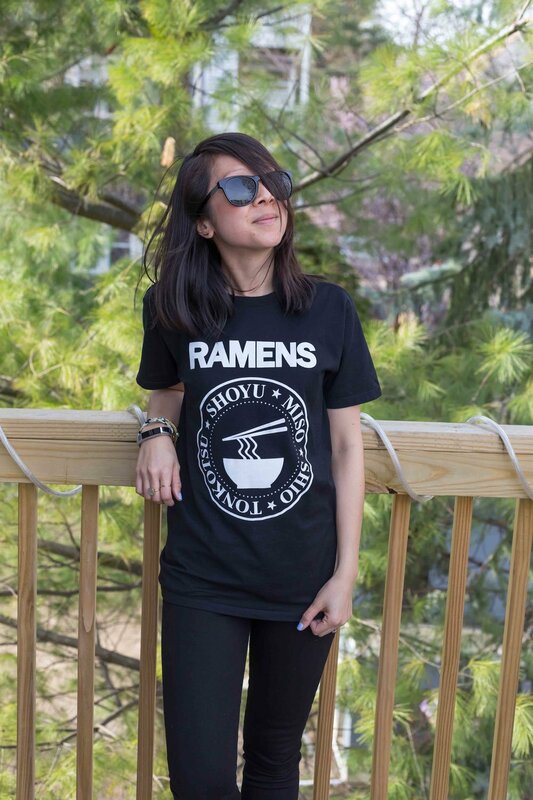 9 times out of 10, if Dan asks me what I want for dinner, my answer will be Ramen. Even if it's hot out, I'll sweat through it. If you are graphic tee girl like me, you'll want to visit my friend Mo's boutique, MoMo. With an extensive stash of T's, you might find it hard to choose just one. But for me, the decision was obvious when I laid eyes on this t-shirt. Paired it with my fave pair of Gap jeans, slides and shades and I was ready to take on the weekend like a ninja. What are some of your fave places to shop for graphic T's? Please let me know! T: Pop Killer, $28.80. Boston girls, you don't have to wait for shipping. Just over to MoMo. Mid rise true skinny jeans: Gap, $69.95. Use code FORME and save 40% thru 4/20. Slip-On Sneakers: c/o M.Gemi (Cerchio). But for something a little bit more wallet friendly and with a twist (literally), you may want to check out these bow slip-on sneakers by Mia from Nordstrom Rack, $39.97.